I've spent close to eight years of my life working in libraries. My time was spent planning over-the-top parties, filling in for storytime presenters, and even occasionally dressing in ridiculous costumes for the sake of entertaining children. I learned many things in my time there - one of which was that I love Usborne Books! There are educational children's books...and then there are awesome educational children's books. Usborne books are some of the most engaging, colorful, and long-lasting classics in our personal library - and we love it each time a new one joins our collection! There are almost two thousand Usborne and Kane Miller titles available to choose from - and each one is as exciting as the last. There are silly stories, history encyclopedias, fiction, and amazing activity books - truly, they offer something for every reading level. 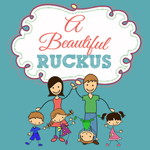 And there are so many great titles for babies and toddlers, too! I was fortunate enough to team up with Usborne consultant Cara Crisostomo to bring you a giveaway for a $25 Usborne Books gift credit! Keep reading to find out about the books that we are loving - and make sure you take a peek at Usborne's book selection. 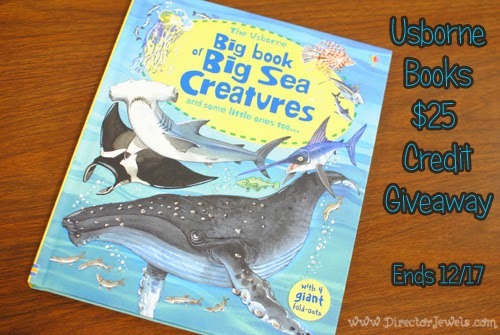 In Lincoln's opinion, the best book we received was The Big Book of Big Sea Creatures. 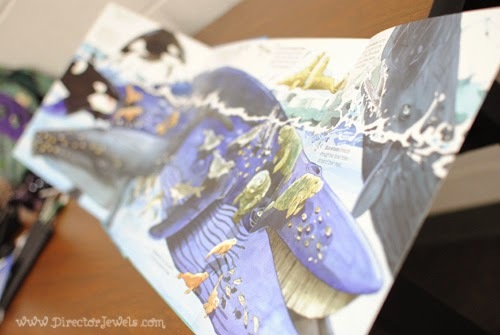 I told Cara that Lincoln loves sea creatures, and she did not disappoint us by sending this book! This incredible title is filled to overflowing with giant fold-out pages (some pictures are as big as four panels - as shown above). From schools of fish to octopuses, sea mammals and (so much) more, this book is a cover-to-cover adventure waiting to happen. 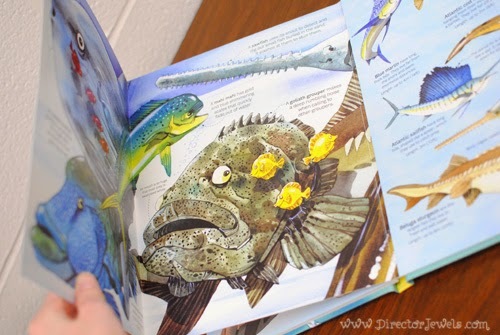 Lincoln loves learning the names of sea creatures (probably since he thinks he is an Octonaut), and this book has been immensely popular since it arrived in our house! 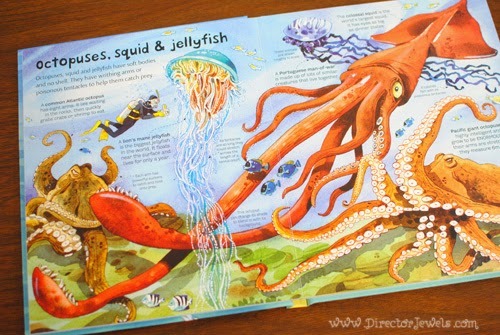 Both Lincoln and Addie love interactive books, so the giant flaps in the sea creature book are wonderful - but they also really love finding small lift-the-flap and peekaboo surprises! We received copies of Peek Inside Animal Homes and Baby Animals Flap Book, both of which are just loaded with interactive opportunities! Each page has multiple spots for them to peek beneath or through to the next page. The vibrant illustrations in these two titles are especially captivating! 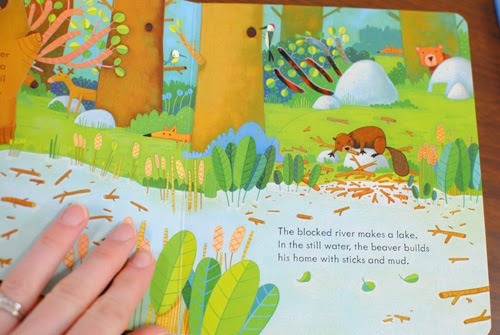 Both kids love animals, and we have had so much fun spotting each little creature on the pages of these books. Can you believe how sweet these illustrations are? I seriously love them. When a book is inviting to a child, it does so much more than just encourage them to pick it up a second (or third, or fourth) time. Reading opens up a whole new world and presenting kids with beautifully designed stories sets them up for a lifelong love of reading. 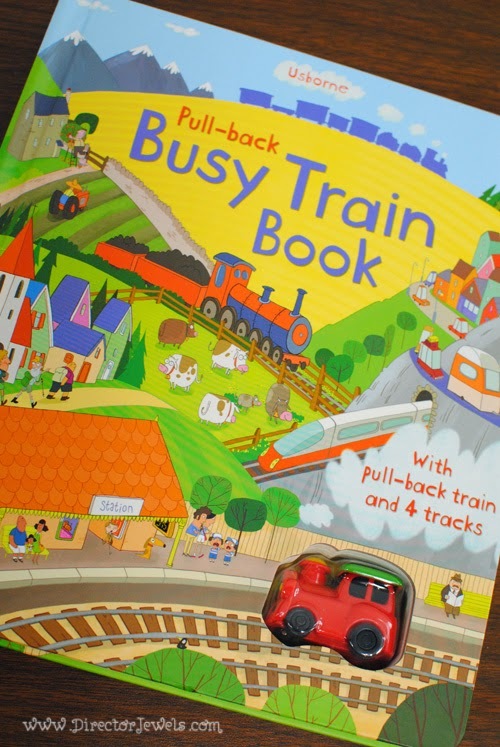 But - all that aside - perhaps our favorite Usborne book right now is the Pull-back Busy Train Book. This book is incredible for my vehicle-loving boy - and Addie adores it, too. 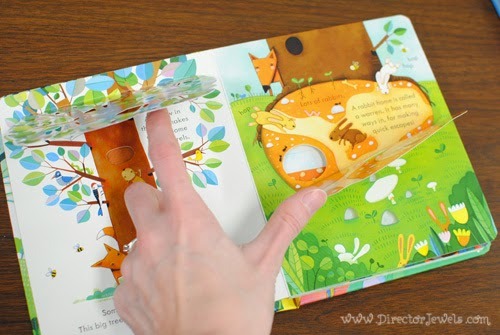 Each page has a built-in track with a starting point. You simply rev up the little self-propelling train and set it on its way. It chugs along through the story at a perfect pace for reading each page! 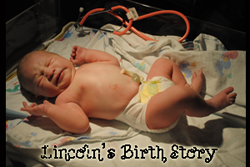 I wish I had known about this book back when Lincoln was a very young toddler and had little interest in sitting through an entire storybook. It would definitely have captivated his attention back then, as it does now. Usborne offers Busy Car, Busy Helicopter, Busy Santa, and Busy Bug versions of this book as well. We would love to have them all - they're so fun! 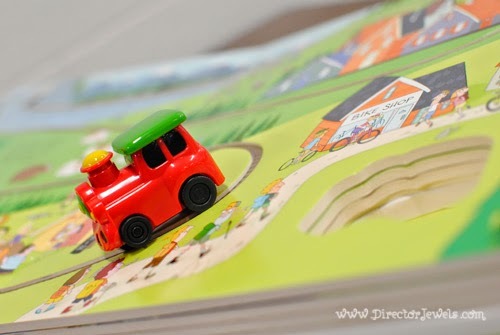 I love all of these wonderful children's books so much that I don't mind at all when we read them fifteen times a day! 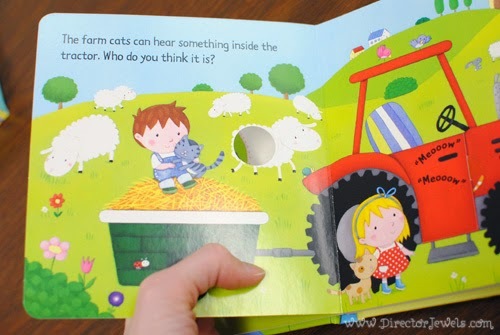 Hats off to Usborne for creating books that both kids and parents love. It truly makes a difference! 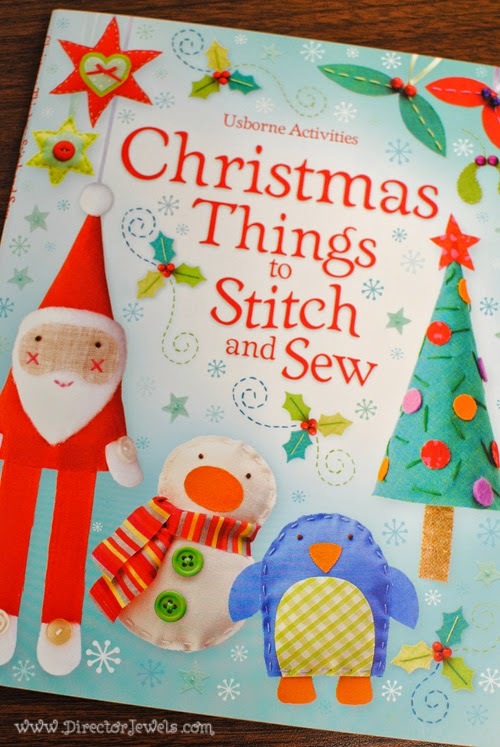 Cara was sweet enough to even include a title for me with our review package - Christmas Things to Stitch & Sew. Let me tell you...my crafty nature is all over this book. 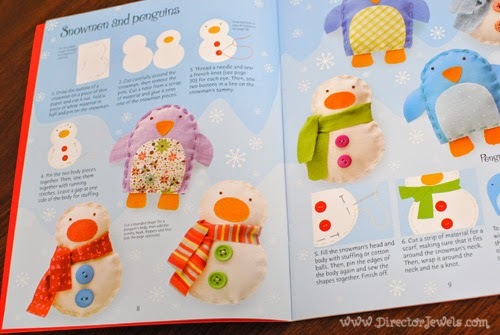 I have poured over it multiple times and may or may not be scheming on where I can find the time to whip up some of these little penguin and snowmen creatures before Christmas! Visit Usborne Books to check out all of the wonderful book titles. I'm sure you'll find a perfect holiday gift for someone on your list this year. 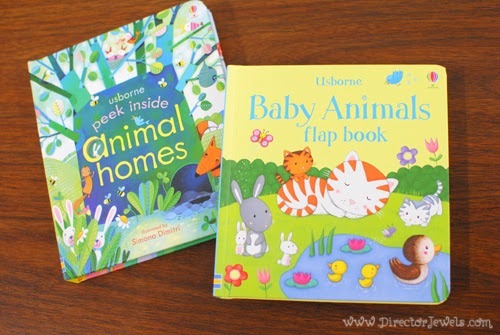 Usborne is one of the first places I turn when I'm looking for new books for my kids! You can also follow along with Cara on Facebook - she has a monthly giveaway that you won't want to miss. One Director Jewels reader will win a $25 Usborne Books Credit! This giveaway will end on December 17 at 11:59pm CST. This giveaway is open to US readers only. Winner will be emailed and will have 48 hours to respond or prize will be forfeited. Disclosure: Thank you to Cara with Usborne for providing my review sample and the giveaway prize! I received no other compensation and all views expressed are my own. For more information, you can read my Giveaway Policy and my Disclosure Policy. I want it all :) but I'd probably buy a kid kit or two! The activity/sticker books look so fun! I would get the dollhouse sticker book for Margo (jk, I would actually play with it). Not sure... probably some of the dot-to-dot books. We own several Usborne books, including the encyclopedias, which I highly recommend. If I won, I would probably buy Baby's Very First Black and White Library. Do I have to choose just one?!? 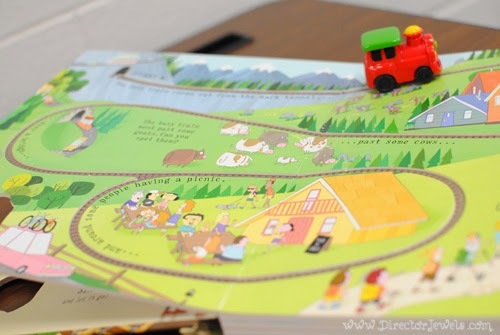 I know Connor would love that train book. Big Drawing and Coloring Pad. I'd love to ad to our collection of That's Not My books! 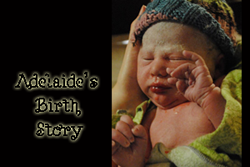 I would love to buy the See Inside Your Body book for my daughter! She loves naming bones, organs, and parts of the brain!!! I would pick assorted ones but the 100 Paper Planes to fold & fly would be fun to do with the kids. I like the Big Book of Little Stories. I like the Baby's Very First Big Play Book.